Mobileye, a worldwide technological leader in the area of software algorithms, system-on-chips and customer applications that are based on processing visual information for the market of driver assistance systems (DAS). 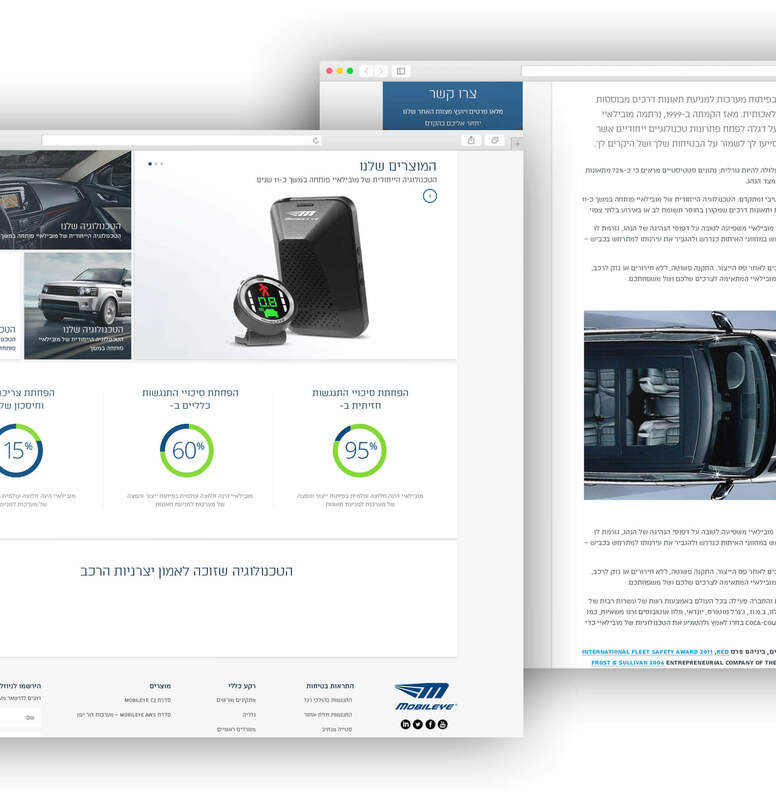 Despite being a major player in this league, Mobileye’s previous website has fallen short in generating the desired user experience. The timeframe at which we set foot in Mobileye’s operations was exciting, as help was needed with crafting the right brand and graphical language for their upcoming IPO. Asking ourselves the correct questions was a crucial stage in our recognition of how to segregate Mobileye added values. Solving the ‘Who’ part of the question had to include two independent groups, being it a service relevant for both drivers and fleet managers. As for the ‘What’ part, this is where our creative team has brainstormed a separate campaign to deliver the slogan: Modern driving needs modern technology. This slogan opines that driving has changed throughout time, which forces us to adapt. The new designated platforms were therefore combined from graphical illustration for drivers, and a more ‘quantitative’ concept for fleet managers. 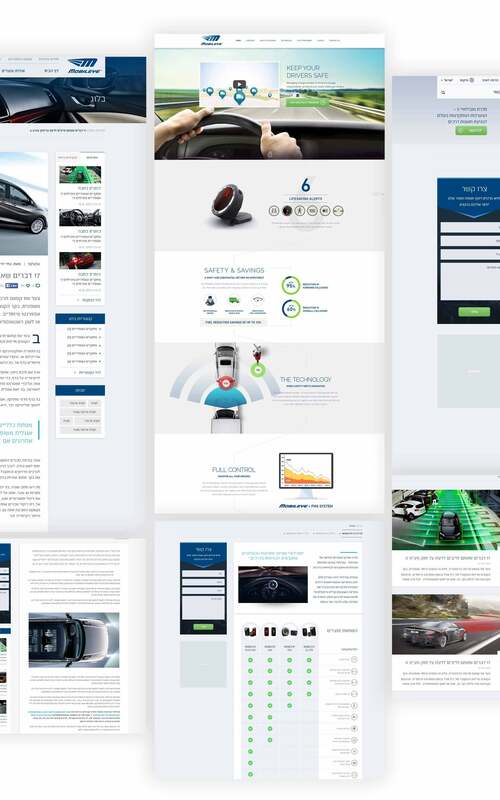 All this has been wrapped in a brand new cooperate site, where we had to make sure that our solution would appeal to either audience by emphasizing the necessity of safety, as well as the economical aspects in terms of insurance.